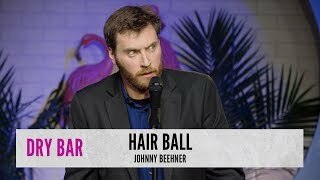 Johnny Beehner made his network television stand up debut on the Late Show with David Letterman January 16, 2015. Beehner made his network television debut in January of 2015 as one of the last comedians to appear on the Late Show with David Letterman. He has made numerous appearances on FOX "Laughs" television show, and regularly appears on the nationally syndicated Bob & Tom Show. His comedy can be heard regularly on XM/ Sirius Satellite radio. Johnny also recently appeared on "Gotham Comedy Live" on AXS tv. Johnny was recently named one of 2015's Top10, "Hot Comics to Watch" by his wife. She says that he would have a shot at the #1 spot if he would “work just a little bit harder”. Johnny has shared the stage with Jim Gaffigan, Robert Klein, Marc Maron, Ron White, Nick DiPaolo, David Alan Grier, Dane Cook, Andy Kindler, Frank Caliendo, Doug Stanhope, Jim Breuer, Carl LaBove, Emo Philips, Will Durst, and many more. view more..
Johnny has shared the stage with Jim Gaffigan, Robert Klein, Marc Maron, Ron White, Nick DiPaolo, David Alan Grier, Dane Cook, Andy Kindler, Frank Caliendo, Doug Stanhope, Jim Breuer, Carl LaBove, Emo Philips, Will Durst, and many more.